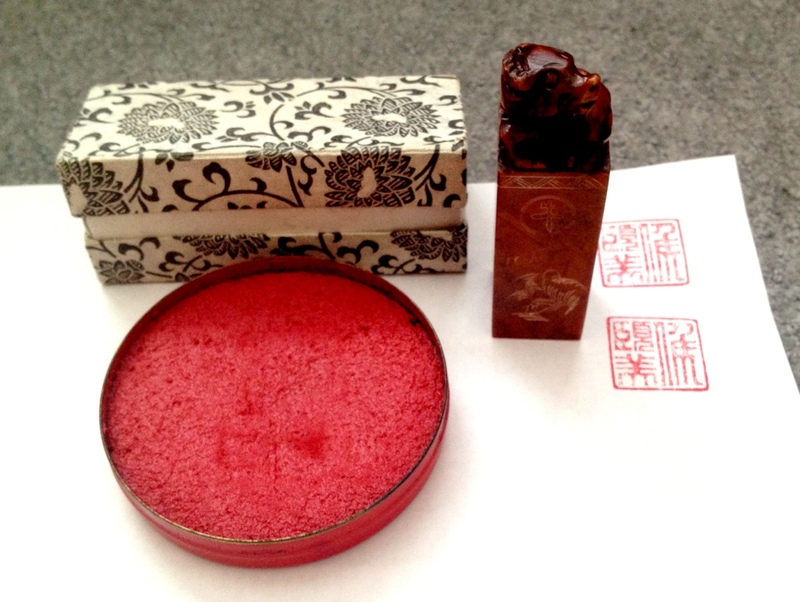 This is my personal name seal and red ink. The seal has an ox carved on top, representing my zodiac symbol. It shows my full given name, ?? ?, with my last name (the first character) being the large one on the right. Red ink is the traditional way (and only way, really), hence the shiny new red tattoo of just my last name.